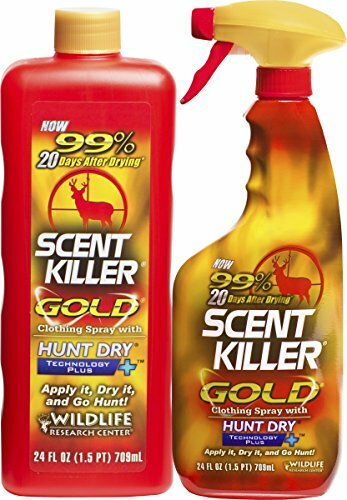 Scent Killer Gold Spray for Hunting Outerwear and Boot Bottoms. With Hunt Dry Technology - formulated for maximum performance after it dries, so you don't have to hunt with wet clothing. With Hunt Dry Technology you can spray it onto your clothing - hours, days or weeks before you hunt! If you have any questions about this product by Scent Killer, contact us by completing and submitting the form below. If you are looking for a specif part number, please include it with your message.